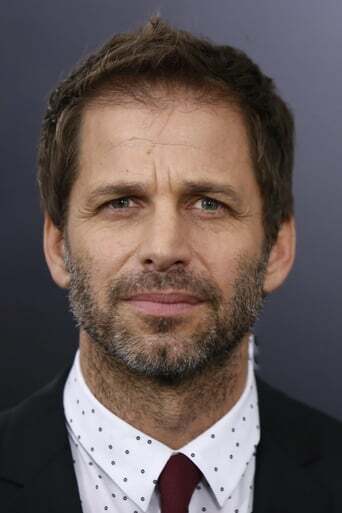 Zachary Edward "Zack" Snyder (born March 1, 1966) is an American film director, screenwriter, and producer. After making his feature film debut with the 2004 remake Dawn of the Dead, he gained wide recognition with the 2007 box office hit 300, adapted from writer-artist Frank Miller's Dark Horse Comics miniseries of the same name, and later went on to direct the 2009 superhero film Watchmen, an adaptation of the comic book of the same name. He is the co-founder of Cruel and Unusual Films, a production company he established in 2004, alongside his wife Deborah Snyder and producing partner Wesley Coller. His first family film was the 2010 animated family adventure film Legend of the Guardians: The Owls of Ga'Hoole, based on the first three books of the series by Kathryn Lasky. Description above from the Wikipedia article Zack Snyder, licensed under CC-BY-SA, full list of contributors on Wikipedia.